That awkward moment you get up too early and now your whole day is off by an hour. Screw this. I’m declaring daylight savings savings time (DSST). 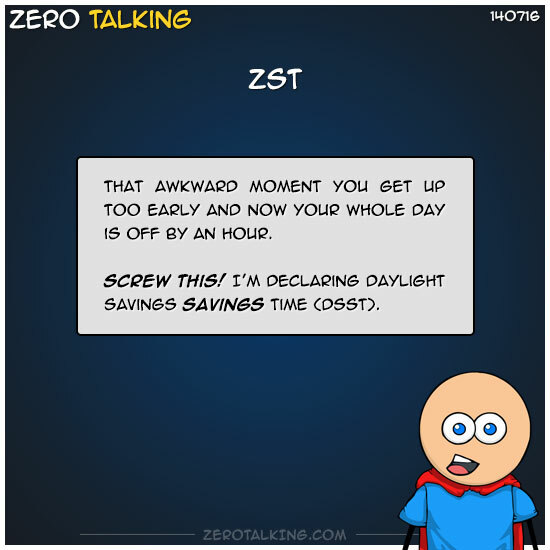 Josh: How about you just declare Zero Standard Time (ZST)? ZST has no clocks associated and only goes by sun up, sun down, hungry time, workout time, and nap time. Wherever you travel, ZST follows you and does not change.